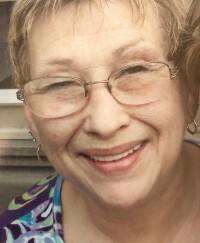 Susan B. Dickinson, 70, of Elderton, PA, passed away Friday, November 30, 2018 at her daughter's home. She was born March 14, 1948 in Warren, OH, the daughter of John and Justine (Stuart) Butler. Susan graduated from Warren G. Harding High School in Warren, OH, and then she proudly received her nursing degree from Butler County Community College. For 31 years, Susan worked as a Registered Nurse. She enjoyed camping at Canadohta Lake in Crawford County with her family and friends. Her favorite hobbies were reading, doing crafts, and going to garage sales. Her memory will be cherished by her loving husband, Donovan Dickinson whom she married Oct. 25, 1986; two sons, John D. Cromley and wife, Terry of Punxsutawney, and Russell B. Cromley of Tampa, FL; four daughters, Lori L. Cromley of Dayton, Jessica J. Mihm and husband, Dalyn Utley of Canyon Lake, CA, Amanda P. Bush and husband, Aaron, of Uniontown, OH, and Justine D. Gamble and husband, Anthony of Elderton; numerous grandchildren and great-grandchildren; and a sister, Vicki Walsh and husband, Herb of Fort Lauderdale, FL. She was preceded in death by her parents; and a daughter, Roberta Leigh Evans. Per Susan's request, services will be privately held.